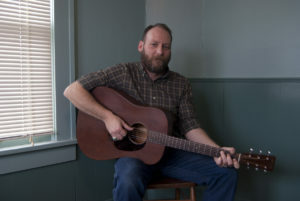 Folk and country-blues songwriter, Brad Fielder, performs traditional and contemporary styles on guitar and banjo. Wholly committed to songwriting and entertaining as a craft, Fielder’s song book is thick with stouthearted material that reminds the listener of what it means to be a human, and, often, what it means to be an Okie. He sings in settings as gritty and honest as the songs he writes.